WE DID IT! 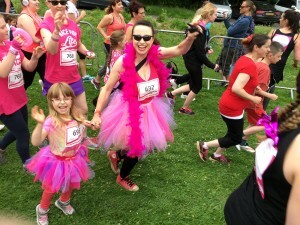 Well it may not sound like much of a distance but me and my daughter managed the 5K run for Race for Life to raise money for Cancer Research UK. We raisied a brilliant £480 ( its still coming in) and Im so proud of my little girl. 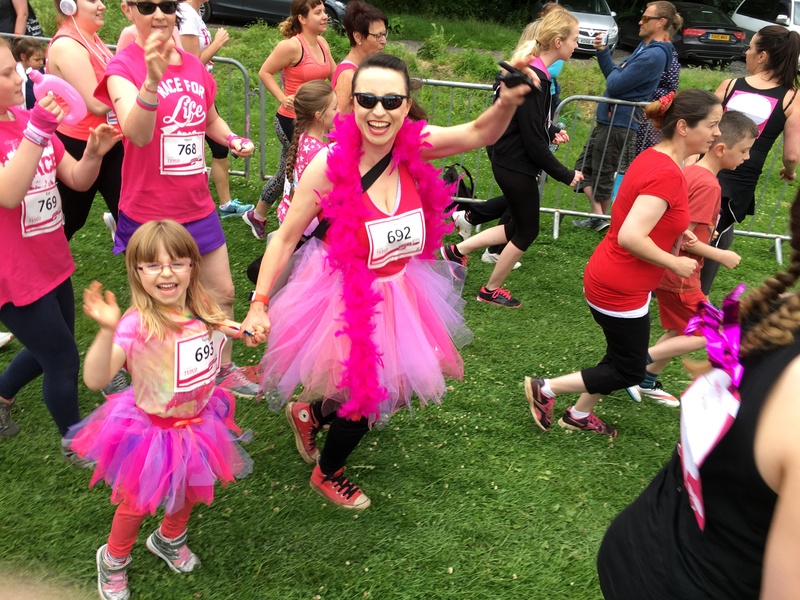 Donning our pink Tutus and feather boas we paraded around the course but most importantly felt the love of our friends, family and Novas school buddies that had spent the time to donate their hard earned cash for this amazing charity. Its something very close to my heart and its something that effects so many of us. There was such an overwhelming sense of community spirit, love and thoughtfullness on the day. Everyone had their own reasons for taking part and the Girl Power was phenominal! We jogged ( I say jogged, I was more like Hyacinth in Fantasia) but my daughter was a firecracker! and we passed a lady, running on her own, probably about 65/70, you could tell she was a survivor. She said how amazing my daughter was doing with the run and what an inspiration she was. I was watching Loose Women a couple of days ago and they were talking about how us ladies are unable to take compliments and I thought how lovely this ladies comments were so I drunk that one up! and later re-paid the gesture when we met at the finish line. That sums up the day really, lovely people, friendly, no animosity, no pushing to be first, remembering lost loved ones and a human desire to do something to help. I think these events are so important because in this day and age where space is such a commidity and we no longer have the room to bury our dead and visit the gravestone, we need to mourn in other ways and I think doing these runs helps us visit our memories and somehow feel closer to that person. Then theres the brilliant amount of money thats rasied at these events all over the country.